This is an excellent small fly for trout and Grayling. Hook : 12-18 Partridge E1A Hooper. Thread : 8/0 Red or Black Uni. Rib : Copper/brass wire as body. Hackle : Two turns partridge hackle dyed green. Head : Red or black thread - varnish. Wind the wire in tight turns down the hook shank and rib back to head with same wire in open turns. No tying silk required at this stage. Now secure with your silk and tie in partridge or hen hackle at the head, making only two turns of hackle and the whip finish. 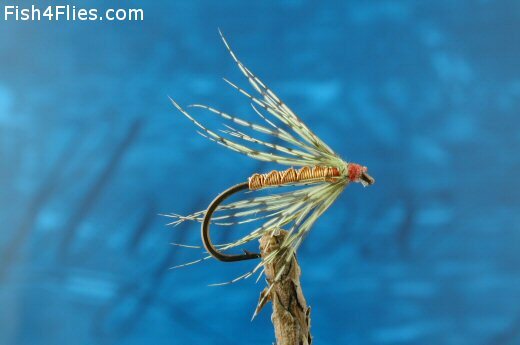 Currently there are no comments about the Wire Spider fly pattern from other fly fishermen yet.